There is currently an unusually large outbreak of plague going on in Madagascar. While plague is rarely seen elsewhere in the world, Madagascar usually reports 300 to 600 cases in each twelve month period with most cases occurring between October and March. In 2017 more than 1,800 cases have been reported in the period from 1st August to 30th October. 127 patients are believed to have died. This outbreak is unusual in terms of the numbers of patients affected and also because many cases have been seen in urban areas of Antananarivo and Toamasina. 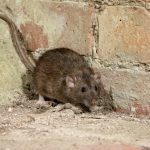 Plague is a bacterial infection which is usually spread from rodents to humans by way of flea bites. Patients typically become unwell 2 to 6 days after the flea bite with tender and painful lymph nodes – this is the illness known as “bubonic plague”. If no treatment is given, the infection can spread to the lungs causing a pneumonia or “pneumonic plague”. Patients with pneumonic plague are infectious to other humans because they cough infected droplets into the air which can be inhaled by others. Individuals infected in this way will go on themselves to develop the pneumonic form of the illness. Pneumonic plague is frequently fatal if untreated, as is “septicaemic plague” which is when the bacteria spreads through the bloodstream to other organs. In all forms of plague the primary symptom is a high fever, often accompanied by the related symptoms of chills, headache, aching muscles, shivering and feeling weak. In bubonic plague there may be swollen and painful lymph nodes. Pneumonic plague is characterised by a respiratory infection so there will usually be coughing and/or shortness of breath. How can plague be treated? Plague is readily treatable with antibiotics. If the illness is identified and treated early, mortality should be no more than 5%. Individuals who have had a high-risk exposure to plague can be given antibiotics to reduce their chances of developing the disease. What is being done about this outbreak? A coordinated public health response is underway to contain the outbreak. This is being led by the Ministry of Public Health of Madagascar with assistance from the World Health Organisation. Crisis units have been activated to identify cases and trace all contacts of known and suspected cases. Antibiotic treatment is being made available free of charge to those who need it as well as preventative antibiotics for case contacts. Confirmed and suspected cases are being isolated to minimise person-to-person transmission of the disease. In addition, a public health awareness programme is underway, as well as measures to control the numbers of rodents and fleas. At the moment case numbers appear to be declining, suggesting that the above measures are starting to be effective in bringing the outbreak under control. How can travellers to Madagascar minimise their risk? At the moment there are no restrictions on travel to or from Madagascar and it is not anticipated that there will be. The risk to travellers is currently stated as low to moderate. Travellers should avoid any contact with sick or dead animals. Travellers should use a DEET-based insect repellent to reduce the risk of flea bites. Close contact with individuals who are unwell should be avoided. Avoid crowded areas in locations where plague cases have been reported. There is no vaccine which protects against pneumonic plague. If you believe you have been exposed to rodents, fleas or a person with plague, seek prompt medical advice. If you develop a fever seek medical advice immediately. Has this outbreak spread to other countries? There have been some suspected cases in the Seychelles and Mauritius in travellers from Madagascar but these cases tested negative for plague in the end. Travellers departing Madagascar are currently being screened by means of a questionnaire and body temperature checks. The World Health Organisation believes that international spread of the outbreak is unlikely beyond sporadic cases in travellers. Travellers should be aware that international emergency evacuation will not be easily available to any patient with suspected or confirmed pneumonic plague due to the reluctance of other countries in the region to accept such cases.